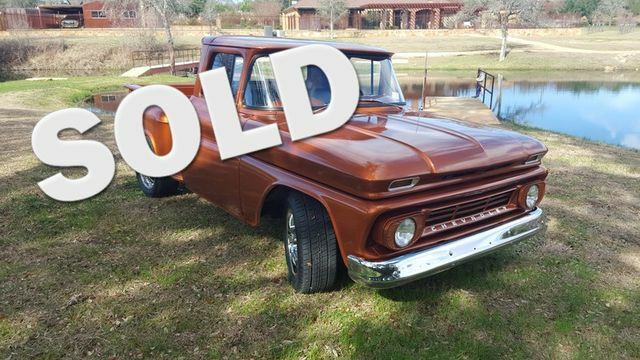 Beautiful 1962 Chevrolet C-10 Pickup, Exterior color close to the Unversity of Texas, Burnt Orange, For Oklahoma and Texas A&M fans can paint to school colors. Ha! This truck has a 283 crate motor and a rebuilt Turbo 350 transmission with less than a 1,000 on it. It is an older frame off restoration with a new Sunburst Orange paint job. New front disc brake conversion and suspension parts, new rear drums and wheel cylinders. The interior is new. This is a very nice 1962 Chevrolet truck!!. Buy it while you can.